At Joffe, we are proud to work with a wide variety of event partners, keeping attendees and staff safe around the country. Our events range from Ragnar Relay races to LAFC soccer matches, and everything in between. One of the first things we ask our partners to consider is the level of risk inherent to their event. Here are some questions that will assist you in determining the level of risk at your event, and what steps you can take to mitigate that risk. What does your worst case scenario look like? One of the most dangerous variables at any event is a panicked crowd. It’s unpleasant but necessary to utilize details like number of attendees expected and consider what would happen if all of those people needed to exit at once. 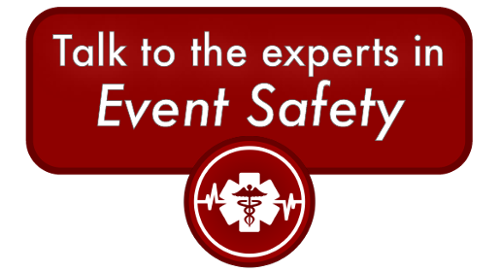 Joffe Emergency Services is proud to work with our event partners of all kinds to design well-considered safety plans. Will there be alcohol available? Obviously, if there’s drinking going on, your level of medical risk goes up significantly. It is also important to consider how other variables can come into play with alcohol. An event around or even just near water must take into consideration the Center for Disease Control’s finding that alcohol usage is a factor in ½ of all water recreation deaths. Heat is another risk factor. Both alcohol and heat dilate our blood vessels, which makes us more susceptible to passing out and potentially having a severe medical emergency. Do you expect anyone to partake in any other...recreational substances? One of the most valuable pieces of information when assessing your event’s risk and planning is knowing the history of your event. Have illicit substances been confiscated or suspected to have been used in the past? If so, your event’s level of risk is increased greatly, and you may need to institute more stringent policies to ensure that they don’t appear this year. Otherwise, you may be limited in finding partner organizations willing to handle your event safety. How do vehicles arrive? Traffic patterns are always complicated even before a potential emergency situation arises. Parking availability, the effect your event will have on local traffic patterns, and the site’s level of vehicular access should all be considered. Of course, just as crucially, emergency vehicles must have a plan for their arrival. Ground and air emergency transport will need a place to arrive and exit in case of severe injury that requires immediate hospitalization. What’s the security plan? Securing the perimeter of your event is obviously important regardless of the type of event you are putting on. Monitoring entry and exit is important for many reasons, but if you don’t have at least a rough estimate of how many people are in your event, almost every other element of your safety plan will be affected. Additionally, financial liability due to theft of cash or equipment is a concern for most events. How will you communicate with anyone and everyone? Perhaps radios will be distributed amongst the organizers to ensure that your team can communicate swiftly and respond right away when inevitable issues arise. However, you may also need to speak with attendees at the event as a whole, or with a specific group at risk. It is critical to know a central gathering area and a method of delivering information so that anyone at the event who needs to hear important information can get the message. Interested in learning about how Joffe eases the safety burden for our event partners? Click the button below to talk to our professional safety consultants.